According to new reports, the budget iPhone may end up being more expensive than high-end models from 2012 like the Google Nexus 4 and many others. Still not confirmed by Apple, it seems the new iPhones will arrive pretty soon because iPhone 5C cases are already available for pre-order. Even more, images of both the iPhone 5S and iPhone 5C were leaked over a week ago, so everything seems to confirm previous rumors. Expected to be a cheap Apple handset for emerging markets and first-time smartphone buyers, it seems the 100% plastic body iPhone 5C will be priced between $400 and $500, about $200 less than the iPhone 5S. According to KGI Securities analyst Ming-Chi Kuo, Apple and China Mobile are working to boost penetration of TDD-LTE, as manufacturing of the TDD-LTE-supported iPhone 5C had begun earlier than expected. He also said that the iPhone 5S will exceed the cheaper model in shipments, but we believe that may not happen too soon. Considering the above, there is a chance to see the iPhone 5C reaching the shelves before the more expensive model, even if they are going to be announced at the same time, on the 10th of September. 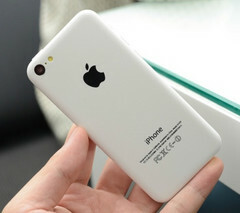 If Kuo's predictions about the prices of the new iPhones are correct, the "budget" iPhone 5C will have to compete with premium and less expensive Android phones from 2012, such as the Google Nexus 4 or Samsung's Galaxy S3.